I asked my husband for help with this post about romantic special occasions and his response was a mumble/grunt about putting the toilet seat down before he fell asleep, so it looks like I’m on my own here. One of our best days last year was his birthday trip to Catalina Island. 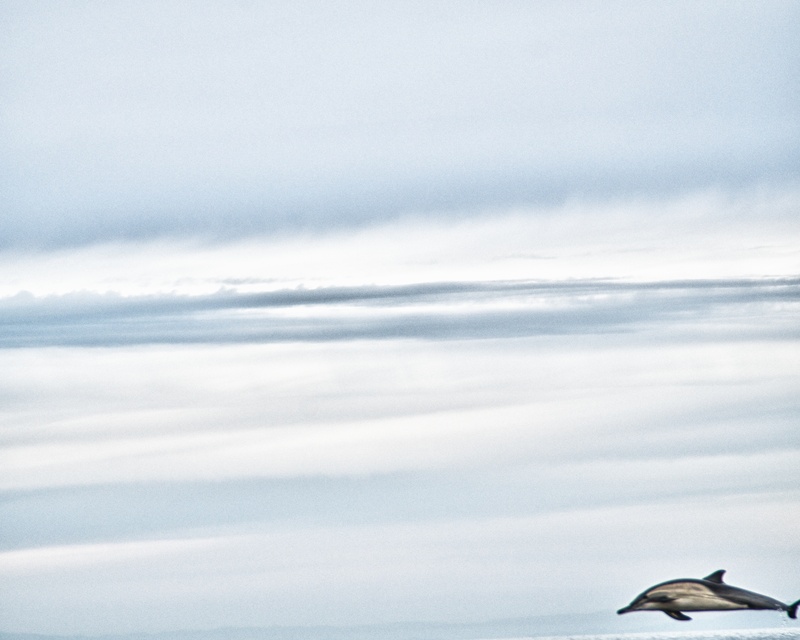 The 30 minute ferry out there was fun itself…a brisk breeze, a seal following the boat, and whale sighting. Not bad! It happened to be on a Monday, so it wasn’t crowded at all, an extra bonus. 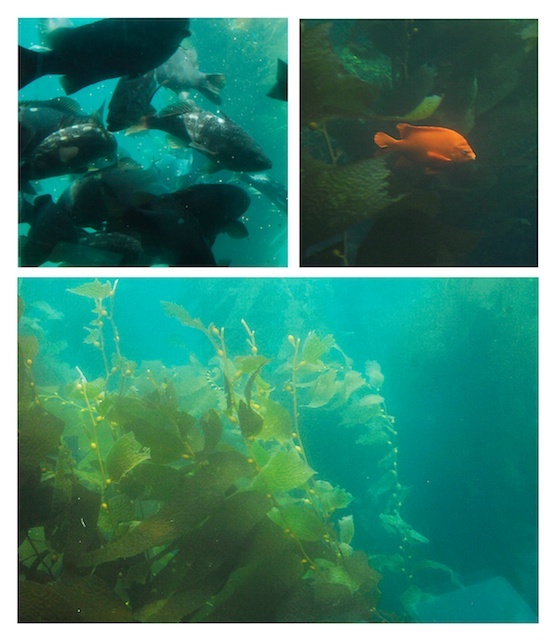 Highlights include our submerged boat tour through a beautiful kelp garden and plenty of fish, but the best was yet to come! 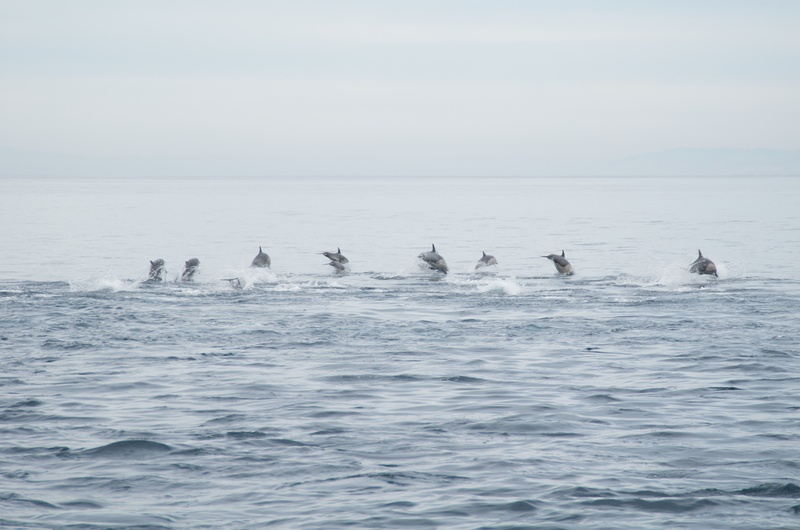 As the no longer submerged boat returned us to the dock, we spotted a swarm of dolphins…there must have been about 100 of them! My husband raised his camera and managed to capture this amazing shot of them jumping in row! We lucked out big time when a water taxi driver agreed to drive us out smack in the middle of the dolphin frenzy. He even spun the boat around a few times to get them even more playful. This is my other favorite photo from that day: so random! The element of getting outdoors and seeing something amazing was the key to romance during this trip. We all know you can do the dinner and flowers thing. I think we need to step it up! Get out, go somewhere you’ve never been, and see something you ordinarily wouldn’t during your day-to-day life. What have been some of your unique romantic special occasions?